Quest Complete! 50 Marathons in 50 States before I am 50! On one of the various Facebook threads that sprung up around my 50th state, one of my coworkers asked a question about my last blog post. I wrote, at some length, about "attempting" this race. And just a few days prior to the event, I did not know if I could do it. Yet, by the time I posted the blog, Volga wanted to know if I had really any fear of finishing? Had I ever actually failed a race I started? I did not find any offense in the question. In fact, I likened it to the Kobayashi Maru test in Star Trek. Briefly, Captain Kirk, as a cadet, cheated his way through a "no win" scenario test; he had never experienced the feelings of losing or death from these impossible situations. So, to apply this to myself, could I honestly convey a sense of drama about my race if I knew I would make it? Back to the question of drama: Against me is a very obvious point. 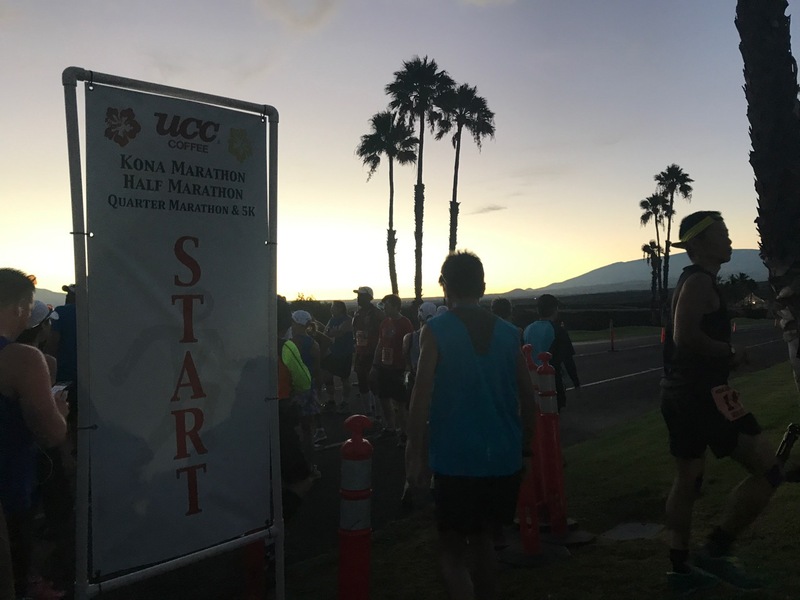 I did not post my pre-race marathon and fundraiser post until the night before the marathon. I certainly gave thoughts to posting an ongoing commentary from the time of being injured (June 17) up to and through the race (on June 25). Then my rumination on if I could attempt the race or not would have been more in doubt in the lead up. However, I felt it unfair to ask people to donate on my behalf if I could not actually start the race. Sure, you all would have understood what happened, but part of RunLairdRun is in the name. I'm supposed to run! In addition, I needed to direct my energy into getting well (or well enough) rather than writing blog updates. I rarely write short ones, and they take time. A few of you pinged me before the race to ask how I was doing (as you knew about the race date), and I was able to share with you that things were not great with my leg. Looking back, I can think of a range of ways to reveal the drama better! Ah, hindsight and a clear mind. As with everything in running for me, I like to think about my experiences and how they apply to life. This week is no different, and Volga's question stirred something in my mind about confidence and how it develops. Let us start with the question as raised. At the time I posted about the Kona race, did I have fear of not completing the attempt? The short answer is yes, but that doubt was small. In fact, in every marathon I have done, there is always some doubt that starts at the planning. when you have run 77 marathons in on 7 continents in 11 countries and in 7 states in the USA, there is a lot of planning that takes place. I may look forward 6 months and pick a marathon only to have some work or family obligation require me to skip it. Sure, I have voluntarily decided to not run the race, but that means that in every race I plan, I have some measure of fear of not completing it. As the date approaches, and calendars remain clear, I start to plan flights. (I usually book hotels at the time of booking a race since most are cancellable very close to the actual stays.) Still, something might happen - a missed connection, bad weather across the US, even a cancelled race (as happened to me at the Walt Disney World half marathon this year). 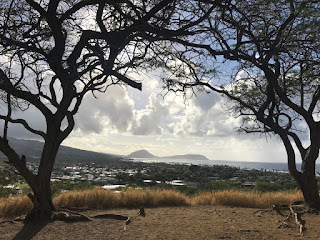 On the running-front, I am continuing with my daily and weekly goals. If I am running just one marathon in a month, I put in some long runs and see how I do. I might do a shorter race to work on pace or a weekend of races to test my endurance and recovery. All of these give me information on how I am feeling and what I can do or not do. Case-in-point: In March, I planned and was schedule to run with my friend Jc during his 250th marathon in Pennsylvania. This was going to be a weekend of two races with him two full ones and me doing one half and one full. The week after, I was scheduled to run my 49th state in North Carolina. (This Pennsylvania race would be my 2nd in the state; the first was state 26 in August 2014.) Then I got the flu or at least a bad cold two weeks beforehand. I actually took sick days. Still, I had over a week to go. In the end, I just did not feel well enough to make it back east and do the race. 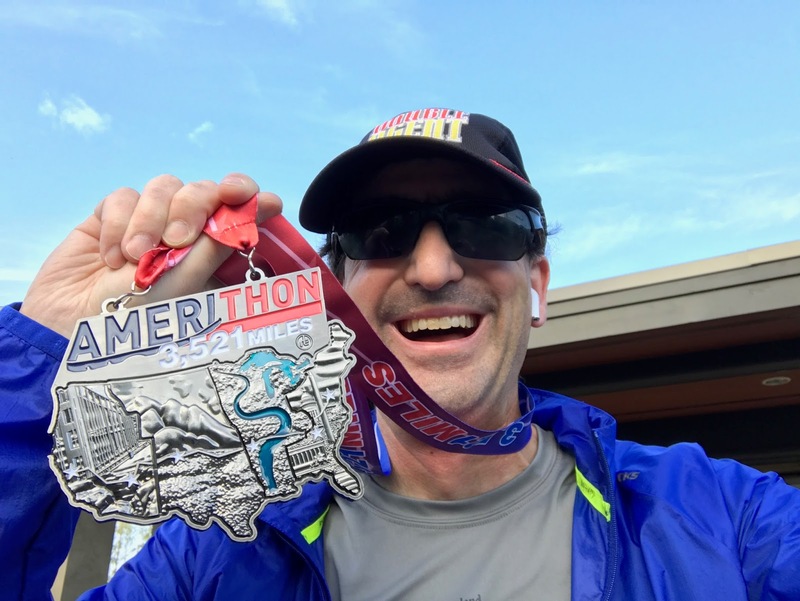 My confidence was low that I could do that running weekend and then safely make it to North Carolina for the more needed new state marathon. I had already done 3 back-to-back weekends in the past 9 months with no issues, but this spring did not feel right. In the normal case where I do run the races I sign up for, knowing I will finish the race is not a switch between 0 and 1. I rarely start at 0, but I equally rarely start at 1. In fact, not until the race has started and I am on my way do I start to get really confident. Then as the race progresses, and more mileage is under my belt do I approach confidence. 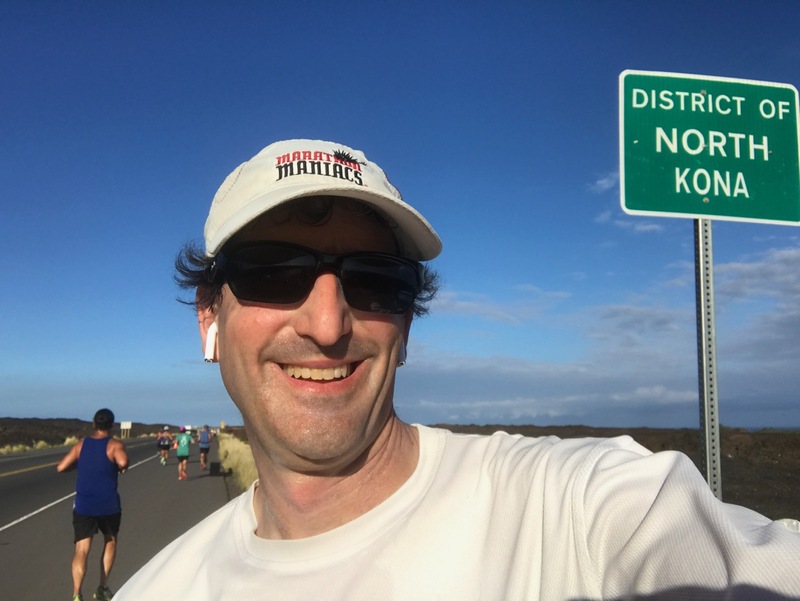 There is a point in every marathon where I know I will finish even if I walk (usually around mile 16). Ironically, in the one marathon I should have likely dropped out of - the 2008 New York City Marathon - where I got injured, the injury manifested itself at mile 16. I went numb in my foot, but as it did not hurt to run, I just slowed down a bunch and actually enjoyed not worrying too much about my time. I then was off running for 4 weeks while my calf healed. I started swimming and cycling. June 15 - arrived in Hawaii feeling stiff from the flight. Bit of a limp. June 16 - 10 mile run in Honolulu. A good run. No real issues, and in fact I had added 3 miles as I decided to find an ATM Machine and get some cash. Heat and humidity were apparent but I was feeling ok in it. Slower than normal. 90% confidence but only minimal concerns. June 17 - 7 mile run with a big uphill section. GPS went wonky! Immediately had trouble walking post running. Confidence drops to 50% throughout the day as the pain and limp were getting worse, not better. June 18 - Took the day off of running for the first time since Dec 30. A massage made me feel a bit better, but still pain in every step. The thought of running on my hip is almost nauseating. Confidence drops to 20%. June 19 - Chiropractor appointment. Some improvement but still not right. Given I have no had a treatment, my confidence drops further despite feeling better. I don't feel well enough yet to run after seeing someone. I cannot even imagine walking the race yet. I admit that I may not be able to do this. I consider flying to Los Angeles and back for treatment and even book flights but worry that the travel would undue any benefit. 5%. June 20 - Rebecca does some muscle testing on me and thinks my pelvis is out. She then proceeds to adjust it by sitting on my side. I hope to never feel something so painful again. However, I do seem to have more power in my leg even if the pain still exists. I have some laser and ultrasound work done which helps. Confidence at 15%. June 21 - Another day off running, but I get in 20 mins on a stationary bike without pain. Still limping and in pain walking. 20%. Hotel bike. 1 speed. That was good for me. June 23 - First run in 5 days. Nearly 8 miles, and it's not great, but I chose to run a mile and then walk 30 seconds before running the next. This seems to work and keep the discomfort and tightness in check for all 100 minutes I was out there. 50% confidence as I think I can probably run at least half and then walk the rest. I am also not limping too much worse than before the practice run. I also run with compression shorts and a band around my waist to keep everything in place. June 24 - Just a 3 mile run before the race. It's enough to know I am ok to try the race. Confidence is now at 67% or so. I've done a bunch of exercise in the heat and sun and not fared too badly. The original pain is now gone, but I am very constricted in my stride. Slow and steady is about the best I am going to manage. Like the turtle in this video we shot. June 25 - I get up without issue at 3:30 AM. Marathon prep goes well and I am at the start of the race. Lots of lovely messages from all of you about wishing me luck and that I have this. 80%. Start line - I end up next to Steve and Paula, the organizers of the 50 State Marathon club! The give me great encouragement. Still 80% though! Mile 9 - Post on Facebook I am past the 1/3 through. 90%. Mile 26.2 - Done! 100%! While the numbers are different when I am not feeling poorly, I actually go through a similar brain exercise in every marathon. There is always some doubt which is probably helpful as overconfidence is dangerous in an endurance sport. In fact, when I think about any major project - one that has lots of planning and execution risks, such as shipping the consumer Oculus Rift or various Call of Duty games - my confidence goes through similar roller coasters. I remember when I was assigned the PC game Return to Castle Wolfenstein in 2000. The developer was fighting with the IP owner, and I was asked to get everyone speaking and sort it all out. I promised we would ship by Thanksgiving the following year. The marketing lead did not believe this could be done. He had been on the project the entire time, and his confidence was shaken. I cannot say that I had any basis in my belief other than experience and 12 months of time to work with. My feelings about our ship date definitely went up and down during those 365 days. Just as in the marathon recap above, there were times when my confidence was near zero. And as we approached the code release date and then our ship date, that went up towards 100%. Even at the end, we had a problem with our German manual that delayed the shipment in that country a week. The good news is that we did make Thanksgiving, and then we won PC Game of the Year and Multiplayer Game of the Year with glorious reviews. 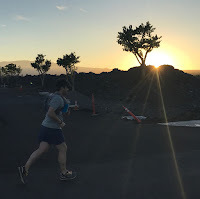 So, for me in any case, running is like making a game or shipping a product in terms of going through an analog curve of feelings and fears and emotional highs. Achieving a plan of any sort is an amazing feeling. 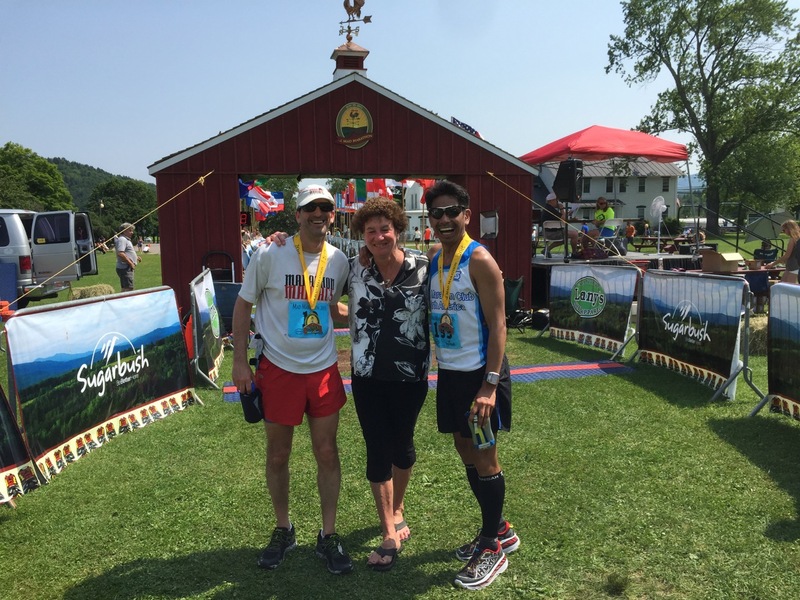 In following posts, I will write more about the race itself - so much fun and so different for me than others. I changed my iPhone playlist a bit too for this one, and that was a good decision. So, I'll write that up too. I'll close though to talk about some of the really special aspects of the experience. This started when my lil sis Jen showed me the shirts she had designed a made. 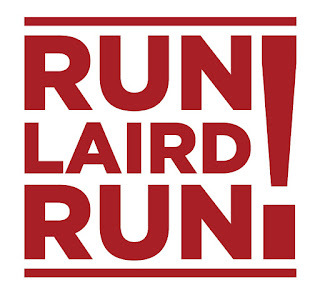 Red with big letters spelling Run Laird Run! on the front and a map of the US on the back with each marathon name and date listed by year. The family all wore these on Sunday. I ran in my traditional Marathon Maniacs white (more grey now) shirt. After the race, I did a costume change and put on my earned red shirt. Bright red stands out, and one great benefit of that was seeing all 5 Kenlines during their 5k. The Kona races all overlap and share portions of the course. Thanks in part to my slower than normal pace, I was running part of the out and back as the 5k started and was running to me. 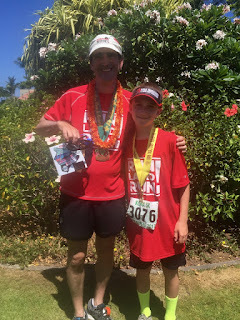 I saw Daniel sprinting his way to a 4th place finish in his age group, then my goddaughter Riley and her dad Paul. And a few moments later, Jen and Max were there and we were all hugging to propel us all to our various finish distances. Then at the pitstop referenced above, I easily found the entire family crew in attendance - 8 red shirts really do pop visually! At the end of the race, I was called up to the podium to receive a special plaque acknowledging my 50 state achievement. This was unexpected and lovely. The final kicker was that a reporter approached me after this. JR writes for the West Hawaii Today paper, and he had seen all the red shirts with the white lettering and had googled to find the blog. Intrigued, he asked me about RunLairdRun and the experience running in Kona. Here are a few images of the paper I found the next morning and the link to the article online that also shows Jen and Max as they finished the 5k. People working in our hotel stopped to congratulate me as they had read the article! As my cousin Julie asked, wasn't it more fitting to have felt such low confidence on this journey and to succeed at the end. And indeed, she is right, particularly in retrospective. This was the best personal worst time ever! Still, I would have loved to have felt physically better before, during and after the race! Maybe next year I will run again in better form. If you prefer to donate directly to these charities and skip the aggravator site (which does charge a fee), feel free. Just send me an email to "run at lairdmalamed.com" with your receipt, and I'll make sure to do the match at the end. Although the race is Sunday, June 25, the fundraiser goes until July 12 - my 50th birthday. Two of our charities return from last year where we raised $50k together. Thank you! The California Science Center houses Endeavour, one of our remaining space shuttle orbiters. The museum is a free facility, home to so many great science exhibits, from the space vehicle to a living rain forest to traveling exhibits to displays on computers and everything else science. I used to go with my grandfather to the museum when I was little. I am a trustee member since last year, and I have enjoyed being on the board with so many great people and staff. All of your donations will go to support scholarships to our science camp programs to bring kids to the museum from all over Southern California. Children International has been on our donation list since the very first fundraiser in 2008. Rebecca and I have sponsored a number of girls in poverty-struck areas in the Philippines. CI focuses on education and health programs around the developing world. I visited their amazing site in Chile in 2011 after I finished my seven continent marathon quest. Last year, our donations created the RunLairdRun recreation and sports room in their Delhi, India facility. I am hoping to visit that in the fall. This year, our donations will go towards HOPE Scholarships. HOPE (Helping Overcome Poverty through Education) scholarships help pay for extra education when a family can’t afford it such as vocational training and post-secondary school (including tuition, books and transportation). The HOPE scholarship program is a competitive scholarship program where youth are required to apply for the scholarships and must meet certain requirements in order to maintain the scholarship, such as minimum grades, completion of the academic year and volunteer service hours. Scholarships range from $150-$500. So, even small donations to the RunLairdRun fundraiser can add quickly add to impact a child. New to my donation list this year is the non-profit iCivics. I was appointed to the Governing Board this past February and have attended two meetings thus far. iCivics was started by Justice Sandra Day O'Connor. The non-partisan approach to teaching civic education through games and teacher curricula is the heart of what we do. Both in class and at home apps and web experiences bring the topics to our students. Justice O'Connor has said “The practice of democracy is not passed down through the gene pool. It must be taught and learned anew by each generation of citizens." This is what iCivics is. The programs are great and have received numerous awards. Your donations will go to help develop more teacher guides, update our website for better discovery and help bring new and updated games to middle and high schoolers. Our total goal is to raise together a total of $50,000 given how nicely that ties to my birthday year. Whether you can donate $10 or $50 or $500 (or any amount), you will have my appreciation as well as those of the charities. Everything is tax deductible, and you'll get the appropriate paperwork for your taxes as applicable. 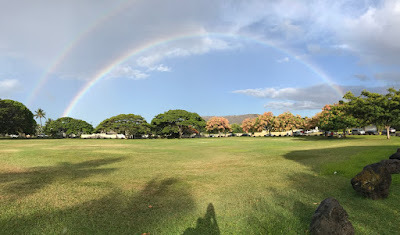 Here's a nice photo from my 7-mile run last Saturday in Honolulu. Rainbows are good luck, right? Double ones, double the luck? Well, apparently not. Following that run, I tightened up and could barely walk, even with a pronounced limp was painful. Blah! I had not hurt at all while running. I just came up lame. This week in paradise has been filled with going to the chiropractor three times, a deep massage "Rolfer" experience, a normal massage, trying a whole bunch of different shorts options (the issue is in my left hip), Epsom salt baths, magnesium rubbed into my hip and anything else we can think of. 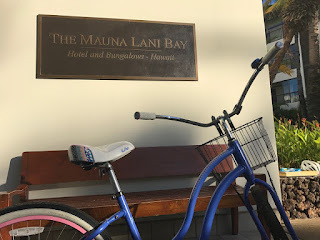 I took a bunch of days off running (4 days - longest break in I don't know how long), did some bike work, have walked waist deep in the ocean and lots and lots of stretches. Super healthy diet - no gluten, eggs, dairy, nightshades (mostly). Lots of fish, fruit and veggies with some rice at times. Happily, I really have not dwelled too much on what happened to cause this. Over use? Maybe? Stress, probably? Bad diet (way too much gluten for sure), likely? The plane flight from Seattle, almost 100% that pushed me over whatever edge I was perched upon. It's probably a combination of factors. I managed to clip our couch about 3 weeks ago and really bruised my right small toe. It hurt like the dickens, and I am sure that twisted me up with the impact and sudden stop. I then probably severely favored it when walking and running. 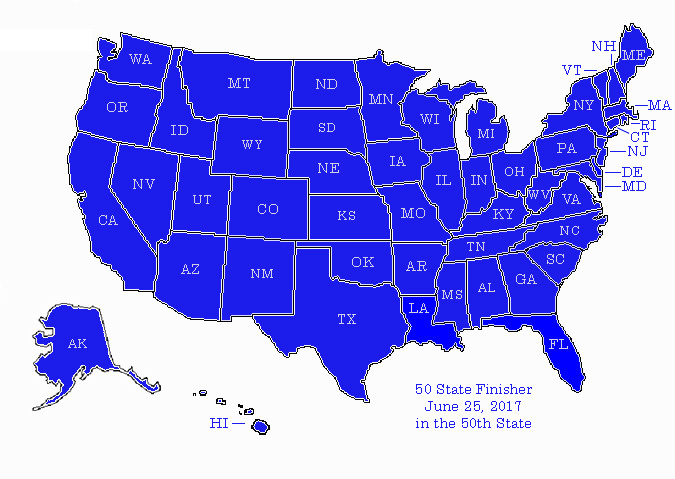 It's important to have some sense of the why, but I am more focused on the how - how to keep my date with completing state 50 before I am 50. 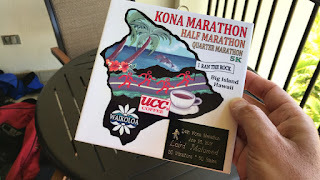 (There is a marathon in Oahu on July 22, but that's after my birthday.) And I need to do this without seriously injuring myself. Aloha means more than hello and goodbye. 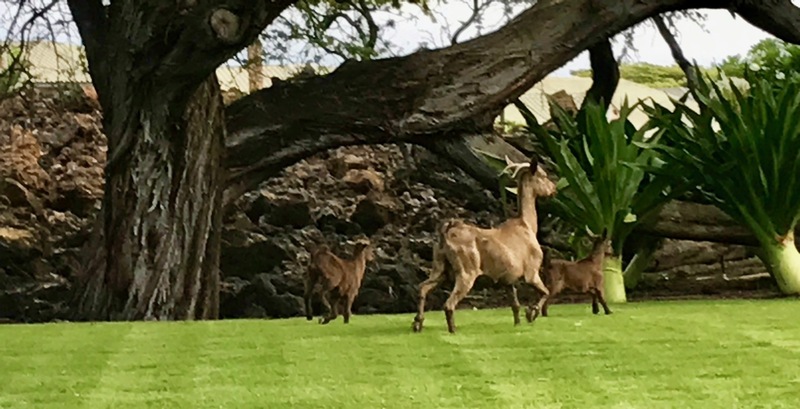 The sense of aloha combines a relaxed attitude with a friendliness and warmth. I can imagine a week somewhere else before some other marathon when every other thought would be a remonstration of myself for whatever caused this mess so close to my big 5-0 goal. The irony is that I have been cautious this year. I've only run 2 marathons in 6 months (compared to 8 in the previous 6). While May was my biggest running month ever, I did a lot of it on crushed gravel. June has been a much easier month in terms of mileage and pace with only one super long run (20 miles in London two weeks ago). With aloha in mind, I've been much more calm and collected. The good news, is that after all of this focus on getting better, I am actually better. I put in nearly 8 miles on Friday. To be candid, it was painful. 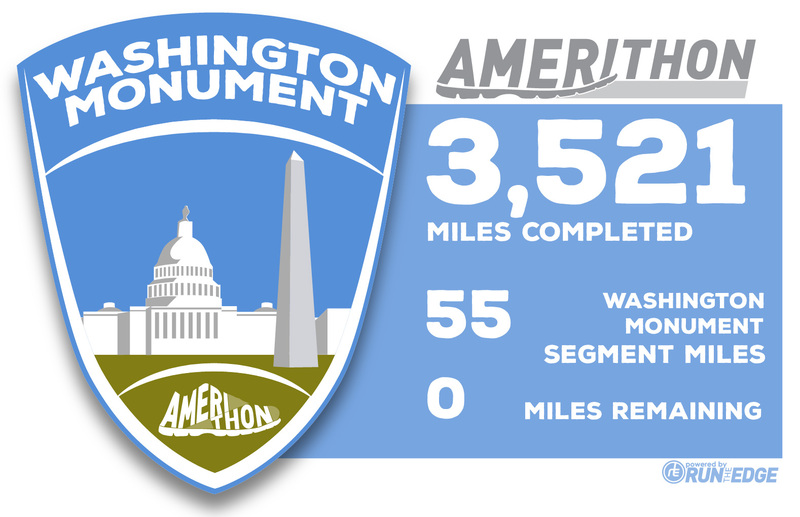 However, I know I could complete 26 miles over probably 5-6 hours. Happily, today's smaller 3 mile run was pain-free! I was just tight and unable to get a lot of left leg extension. My pace was a tad quicker (30 seconds). Even with a bunch of my family here (and 5 of them doing the 5k on Sunday), I am content to let things happen as they do. If I cannot run or I start running and feel like I have to stop, then that's life. I'll still complete the 50 states at some point. If I can run this one to completion, it will be super slow. My current aim is a 12-13 minute pace (my normal is 8-9) with a 30-second walk break each mile. 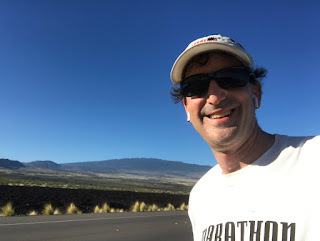 This is the run-walk method espoused by Jeff Galloway, and his books were the first that I read when I started running. Since then, I've shared moments with Jeff and his wife in corrals at RunDisney events. He's genuine and friendly, and I love the circularity that my 50th state will be attempted with the same strategy, albeit a lot slower, of my 1st state. These wild goats, seen on a training run, are going to be a lot faster than I will be! Ironically, I wrote about goals and their potential dangers just this past month! You can read it here. Time to read what I wrote. 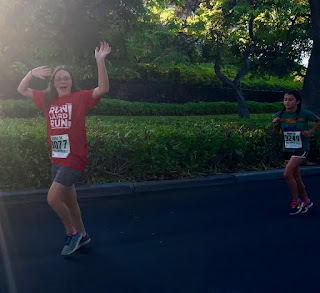 My lil sis Jen has started a Facebook group with lots of people cheering me on and running with me virtually. Take a peek and join if you want. And if you run/bike/swim/hike/walk/whatever, take a photo and hashtag it #RunLairdRun! This journey has been shared with so many people. 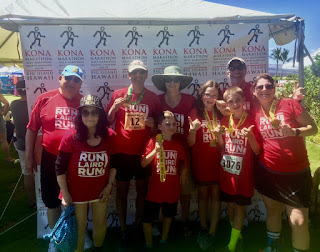 The Kenlines (who are running the 5k together), my parents and Rebecca are all here to cheer me on, and I know you will too wherever your are. Thanks everyone for all the support over the years. Here's the donation link one more time.